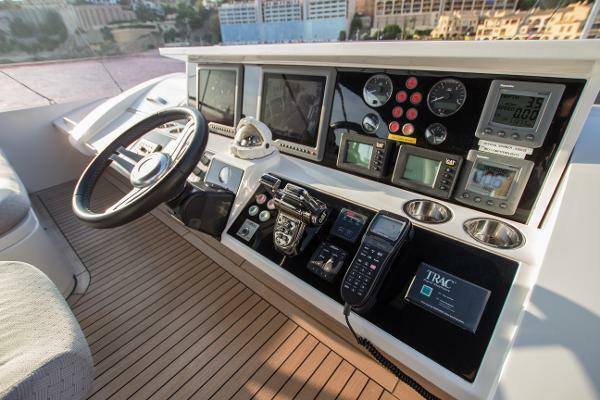 Twin Caterpillar 1723hp diesel engines • 27kW Generator • Three station controls for engine and thrusters • TRAC fin type digital stabilsers • Hydraulic bow and stern thrusters • Remote control telescopic passarelle • Spa bath on Flybridge • Flybridge crane • Raymarine G Series plotter & radar • Raymarine fishfinder • Teak laid cockpit, transom platform, side decks and flybridge • Flybridge wetbar • 4 cabins plus crew area • Master stateroom ensuite with bath • Fully integrated sound system • LED TV's in saloon and all cabins. 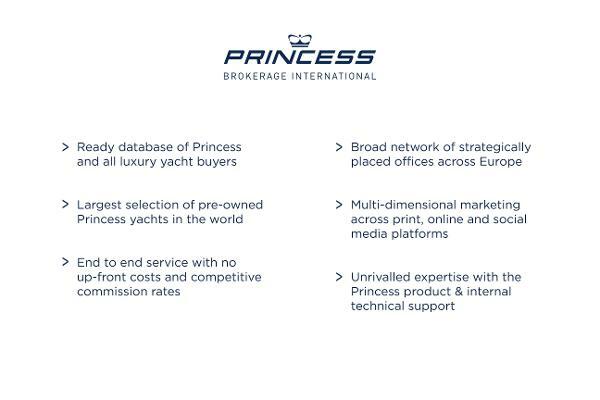 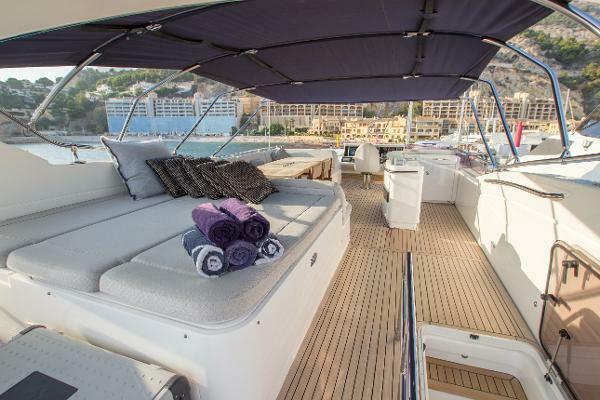 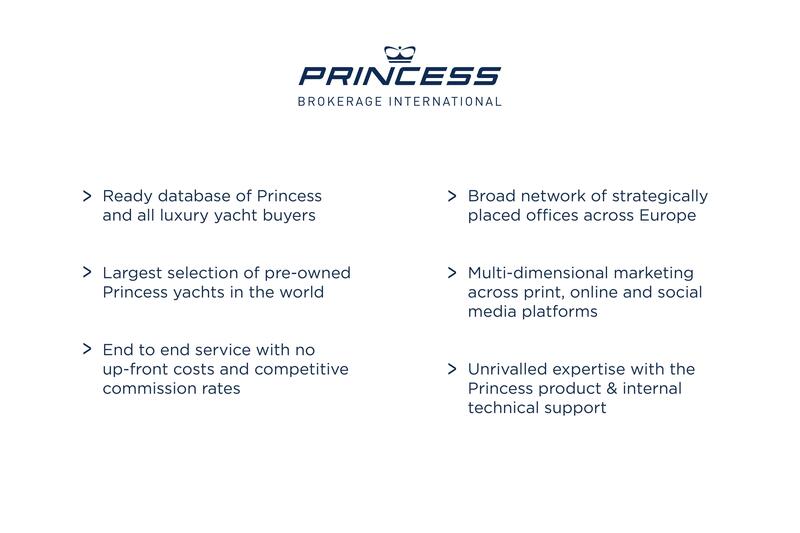 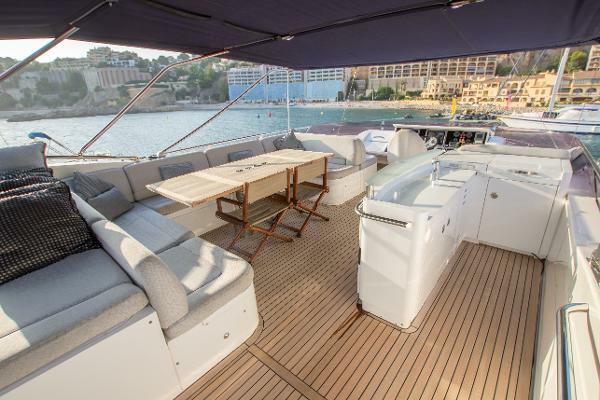 PLEASE CONTACT US FOR MORE INFORMATION ON THIS STUNNING 2011 PRINCESS 78 MOTOR YACHT. Third station controls in cockpit including engine and thruster controls. Flybridge bar with sink, BBQ, top loading coolbox and waste bin. 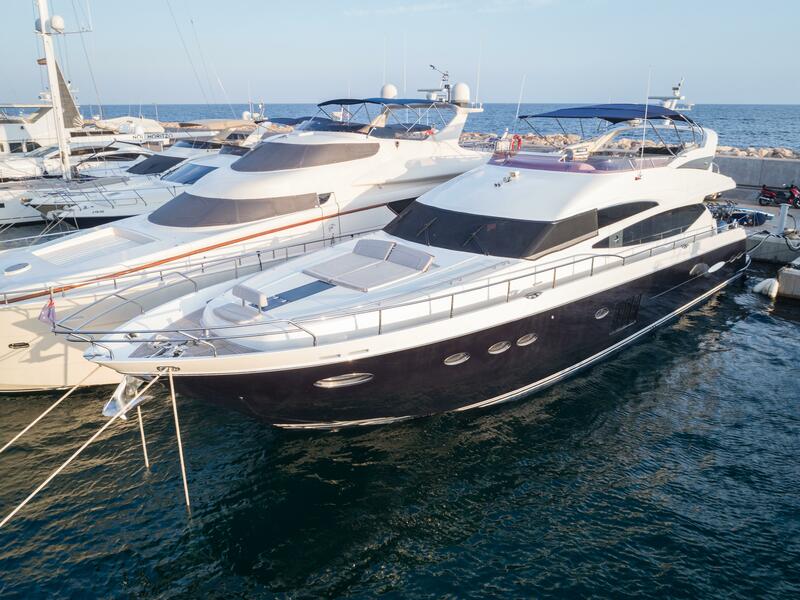 Hand operated fire extinguishers in Master, forward, port, starboard and crew cabins, galley, utility room and lower helm. 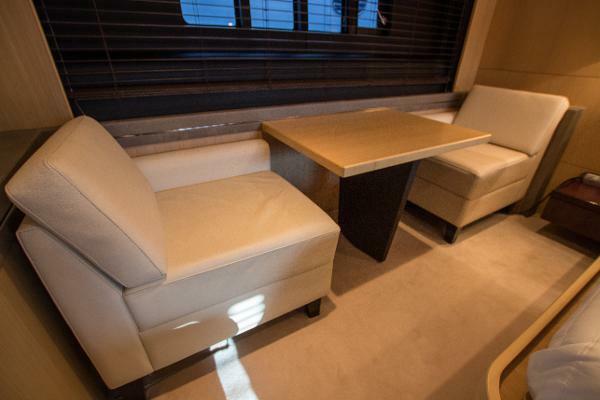 Forward dinette table in Wenge gloss with Italian brown leather inlay. 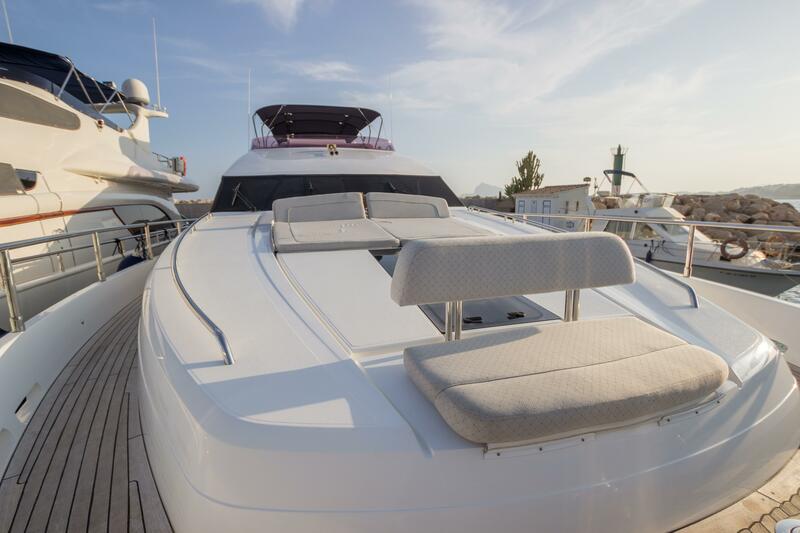 A fabulous example of this timeless model, this 2011 Princess 78 has been maintained to the highest standard by her meticulous captain. 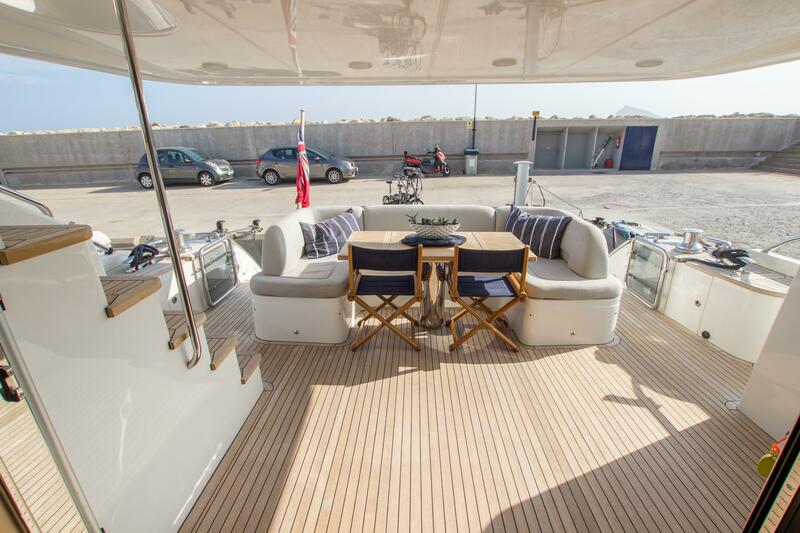 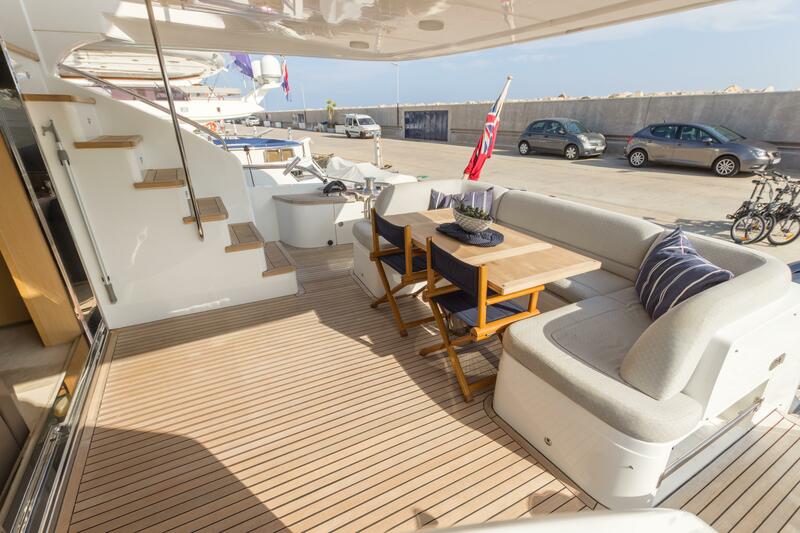 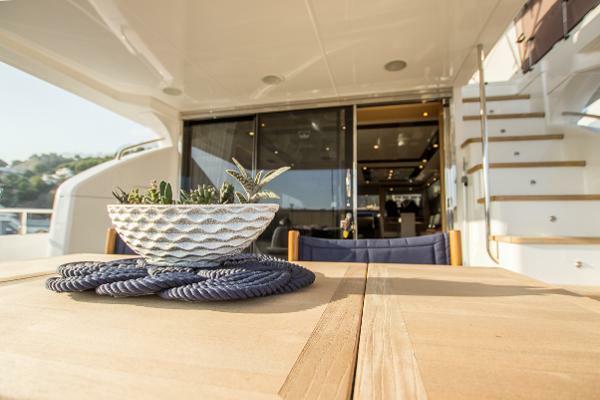 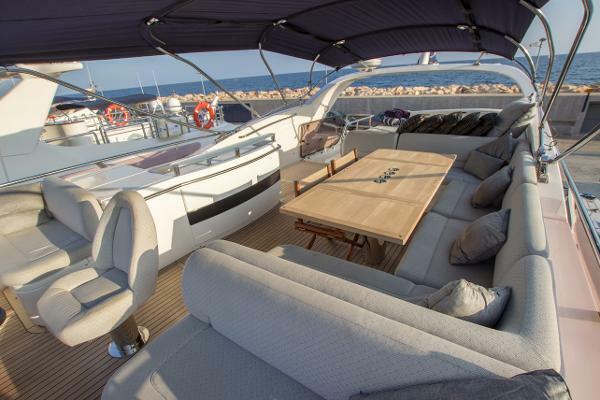 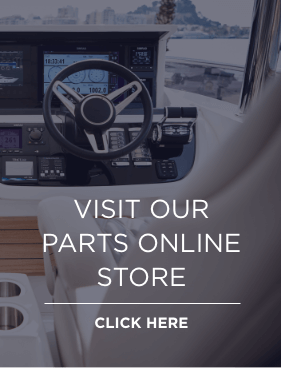 The interior finish of the light satin oak enhances the brightness throughout this vessel creating an even larger feeling of volume in this already spacious yacht. 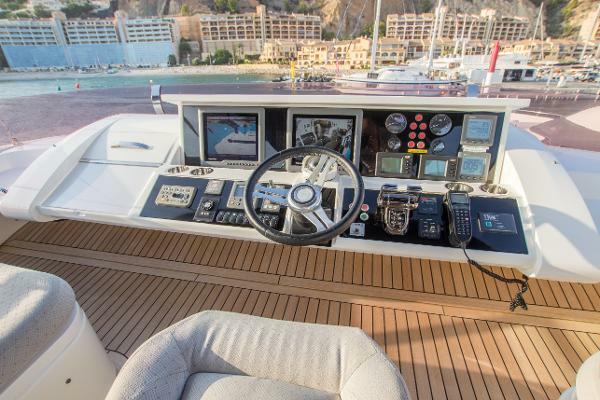 Fitted with the largest engine option, the Caterpillar C32 Acert 1723hp engines, she is capable of reaching speeds of up to 32 knots. 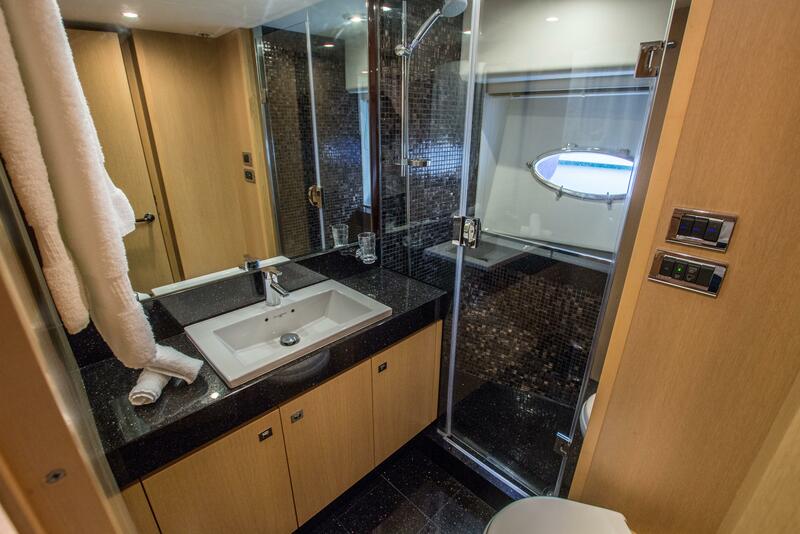 Her flybridge offers a vast amount of space to relax with family and friends and the spa bath is the perfect place to cool down in the middle of the day. Forward there is another excellent social area with large sunpad and forward cockpit seating. On the main deck the galley area can be closed off so as not to disturb guests while in the saloon. 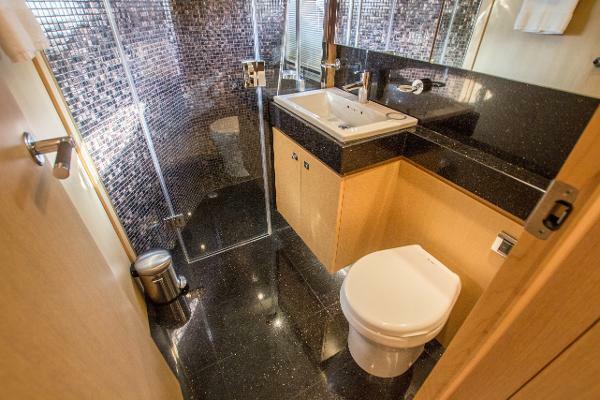 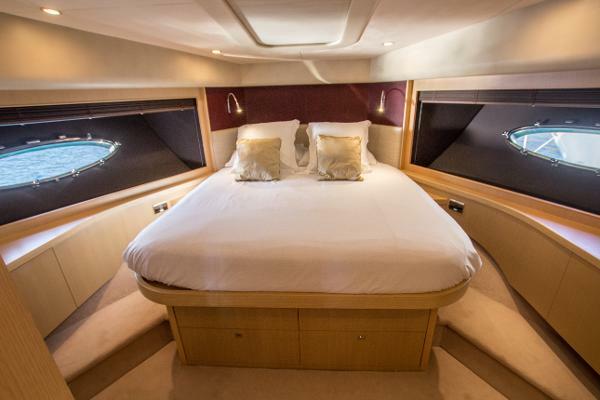 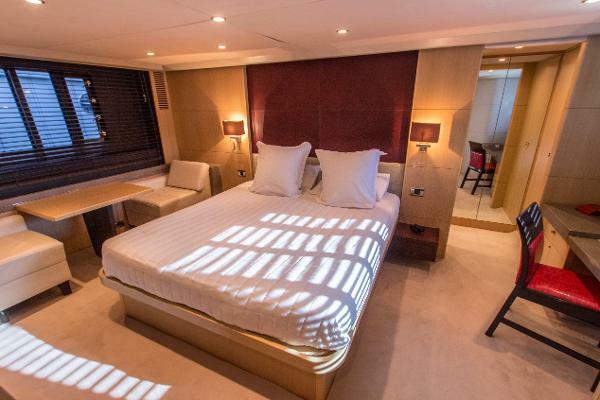 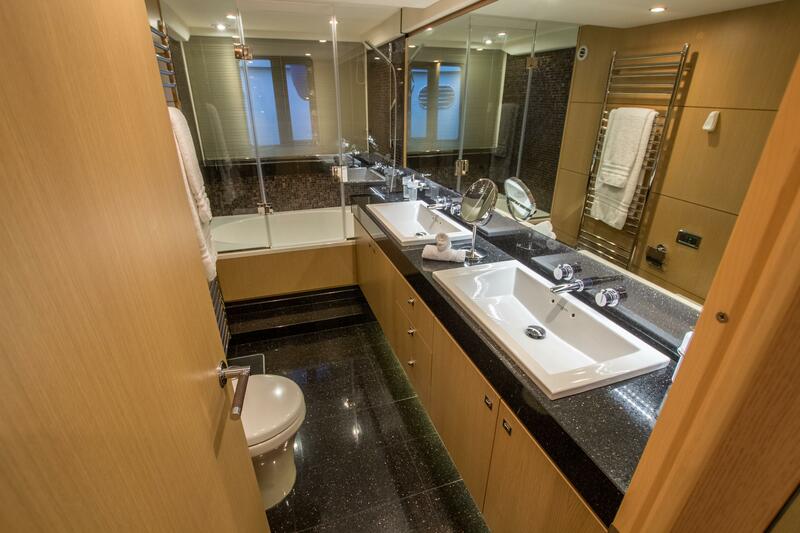 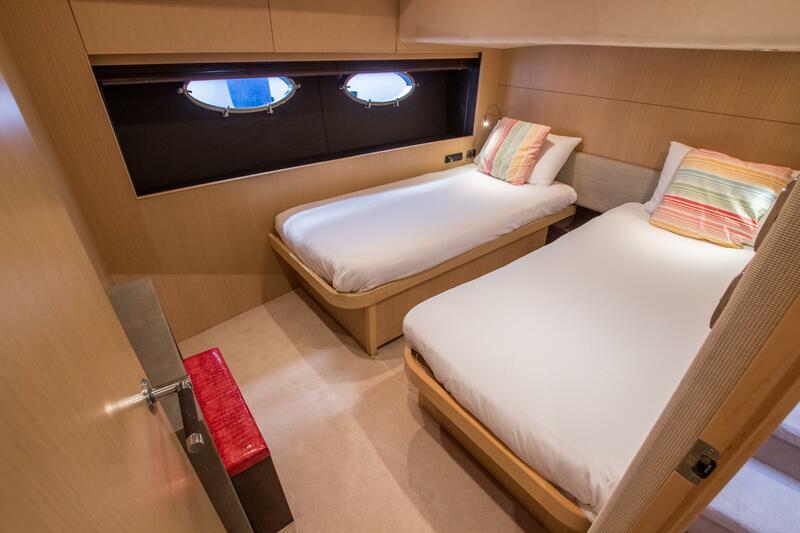 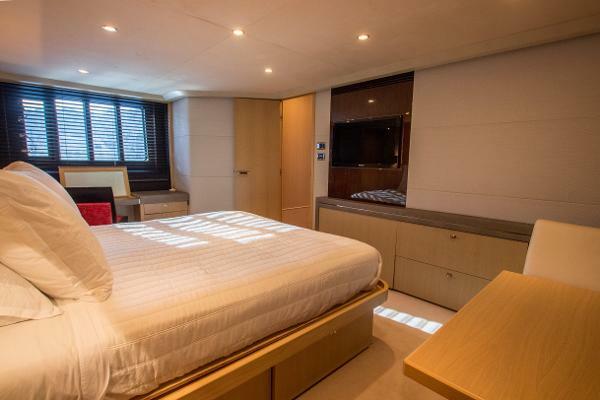 There are four large ensuite cabins accommodating eight guests and a crew quarters catering for three. An excellent yacht and seriously for sale, offers welcome.